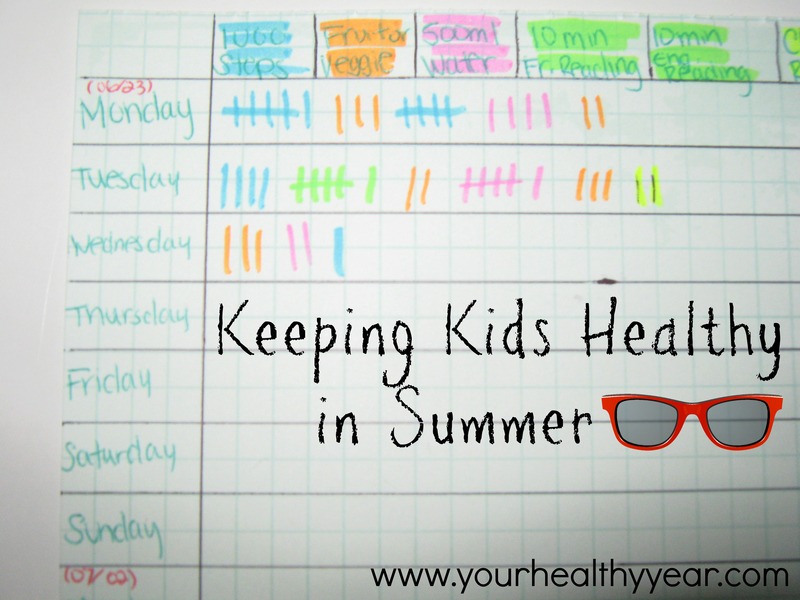 Keep Kids Moving This Summer by giving goals! Keeping my brother Zac busy during the Summer is a pretty big deal to us. We don’t want him sitting at home all Summer. This year Zac will be going to 4 week long Summer camps, Zoo Camp, Mad Science, Taekwondo, and Centennial Camp. This takes up most of his time in the summer, but there are still 4 other weeks that need filled. We are big gamers in our house. Zac, my Fiance, and I all get on our Minecraft server and play with my sister. It’s a lot of fun! The problem is Zac would sit and play games all day if I let him. Between Minecraft, Skyrim, and Assassin’s Creed there is lots for him to do. Don’t get me wrong, Zac does get a lot of physical activity during the week, Taekwondo is almost every night during the school year, but during the summer it drops down to two nights a week. I want to keep him moving and eating healthy. I created a chart which allows Zac to work for his screen time. He decides what he does to ‘earn’ his time, and it has worked out great! He is asking for more fruit and veggies and wanting to go for longs walks. One day he racked up over thirteen thousand steps! Zac has never liked to drink his water either, no matter how many times we remind him, so this helps him drink more water too! Each of these actions gains him 10 minutes of screen time. He can decide if he wants to watch TV, play a game, etc. The best part is he has ended up ‘earning’ more time then he actually spends in front of a screen. There have been a couple days where we have walked over 8km! Zac is making smarter choices and getting for exercise this summer!